How do you know that any given deduction is correct (though not true)? Simple. It is correct if it abides by the general rules of deductive inference. So where do we get these rules of deductive inference from? What makes them correct or justified themselves? Indeed what makes them rules in the first place? 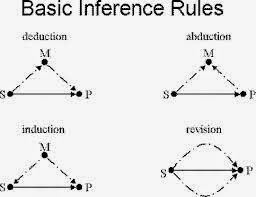 Why are they rules (of deductive inference) and what makes them rules? Why do we accept these and not other rules? Indeed perhaps the rules of deductive inference themselves depend on other things. If so, what other things do they depend upon? Do they also depend on other rules of deductive inference or simply just other things of a logical nature? However, the very use of the word “rule” seems to imply that they need not, at least not necessarily, depend on anything else since rules are normative in nature and are therefore simply stipulations. Nonetheless, does it follow that because rules are normative and stipulational in nature that they need not depend on prior logical factors? We can conclude, then, that either these logical rules are to some extent arbitrary or they depend on logic themselves. But would something that is truly arbitrary be acceptable, or even useful, in logic? 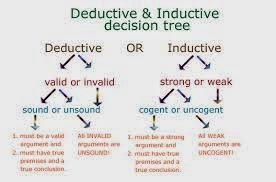 Alternatively, if these rules of deductive inference themselves depend on prior logical factors (or rules), then what do those prior logical factors depend on – yet more prior logical factors? Here there is a clear regress on our hands and that may account for the necessity of creating rules of some kind in the first place – to halt the regress (as it were). In addition to the question of rules, it was said that a deduction or a logical argument can be justified by the fact that it abides by the general rules of deductive inference. 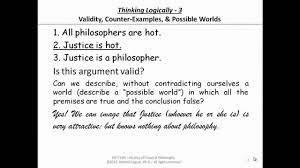 Isn't the word 'justification' an epistemological, not a logical, word? 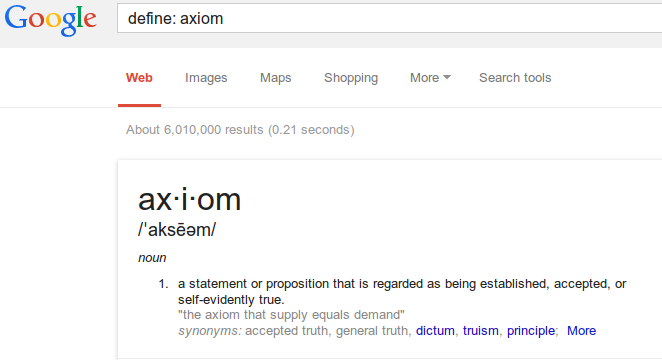 Well, I suppose that it can be used in a way that is not strictly epistemological in nature. So in what way is it being used? The deduction, or argument, is justified simply because it abides by the rules of deductive inference. The fact that it obeys these rules, means that it is justified. It is justified because it follows these logical rules. An epistemological justification, on the other hand, may depend on experience, evidence, memory and whatnot. This, on the other hand, depends on an adherence to logical rules. Where Do the Valid Logical Rules Come From? I mentioned the justification of logical rules of the rules of deductive inference. There are other ways they can be justified. They are seen to be justified because because they follow from self-evident axioms. These axioms are seen to be true, or correct, simply by looking at them and understanding them. That is, one need not go elsewhere to justify them. They, as it were, justify themselves. Of course we would need to know how this is possible and be given an example of such a self-evident axiom. We would also need to know how the the rules of deductive inference follow from such axioms. That is, just as we need to know how the premises in an argument lead to a particular conclusion, so we will need to know, in a roughly parallel way, how the laws of inference follow from self-evident axioms. 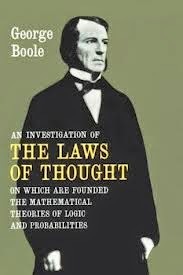 Another possibility is that these laws or rules of deductive inference are grounded in the human mind itself. That is, we cannot help but use them. Either that, or we cannot help but see that they are correct when used in a particular logical argument. This would mean that all rational persons will use the same logical laws or inferences. That doesn't of course mean that they know that they are using such laws and it certainly doesn't mean that they could express or formulate them in language. Nonetheless, people follows such rules of deductive inference regardless of their knowledge of logic. They also know when they have gone wrong, in an argument, regardless of their knowledge of formal logic. I mentioned that non-logicians simply know when they have gone wrong in a logical argument. One way in which both logicians and non-logicians know they have used an incorrect rule is when it yields unacceptable inference. That is, if the inference takes you to conclusion which you simply can't accept (either for logical reasons or reasons of truth). i) Valid deductive inferences are justified by their conformity to valid general rules. 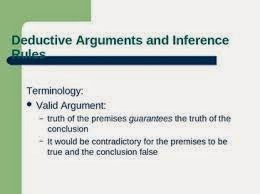 ii) Valid general rules are justified by their conformity to valid deductive inferences. i) A valid general rule is “amended” if it yields an inference we are unwilling to accept. ii) An inference is rejected if it violates a rule we are unwilling to amend. All this sounds dangerously psychological. Phrases such as “unwilling to accept” and “unwilling to amend” are psychological, not logical, in nature. That is, we are not seemingly supplied with a logical reason why we should not accept a valid general rule. And we are not given a logical reason as to why we should be unwilling to amend a given inference. However, that may be because we cannot go beyond the interplay - or virtuous circle - between valid general rules and valid inferences. We can only reject or amend a general rule if it yields an unacceptable inference and we can on reject an inference if it violates a rule we are unwilling to amend. Now all that is indeed logical... up to a point. Valid rules are keeping an eye on deductive inferences, as it were. And the deductive inferences are keeping an eye on the valid rules. The psychological nature of our “unwillingness to amend” an inference or our “unwillingness to accept” a general rule is still set within a logical context. Nonetheless, logic itself will not make that decision for us. How could it? We have to decide if an inference violates a rule or if a rule needs to be amended because it yields an inference we are unwilling to accept. It is still a question of logic. However, the decision itself will be psychological. But, again, that psychological decision is based entirely on the logic of the situation. The only thing logic on its own can't do is make the decision. Logic does in a sense tell you what has gone wrong, either in terms of an unacceptable inference or a rule we are unwilling to amend. It is up to the logician to act logically on that clash between logical rules and logical deductive inferences.